Annual Choir Concert by the Grace Church Choirs Friday 24 April at 7:00 p.m. 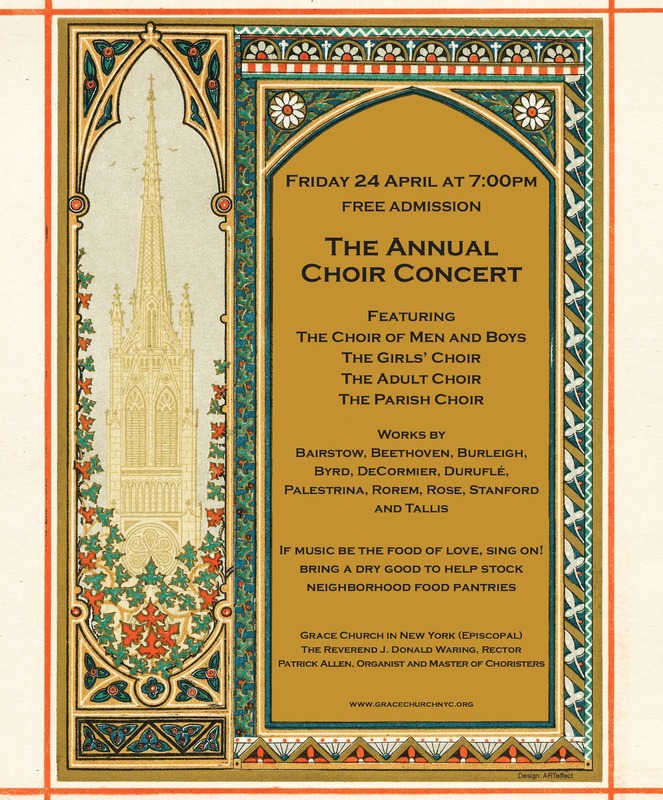 The Annual Choir Concert offered by the Senior Boy and Girl Choristers’ with the Adult Choir will take place on Friday, April 24th at 7:00pm. The Program will feature the musical offerings being prepared for the summer Concert Tour in Normandy and at Notre-Dame-de-Bayeux, Notre-Dame-de-Rouen, Notre-Dame-de-Paris, La Madéléine-Paris, Notre-Dame de Chartres, The American Cathedral-Paris, and St. Sulpice-Paris. Music by Bairstow, Beethoven, Burleigh, Durufle, Mozart, Palestrina, Stanford and Tallis will be featured. A special reception will follow the Choir Concert with proceeds from ticket sales and donations to benefit the Summer Concert Tour. To purchase tickets for the reception or to make a donation to help the choir raise funds for the summer tour please CLICK HERE.